It is with great pleasure that the Board of Gloucester FM GFM 96.6 can announce that the application to Ofcom for an extension of our Community Radio License has been successful! We would like to thank everyone who was involved in this successful submission, including the people in the community who have already come forward with offers to volunteer their time & skills to help keep us on air. The extension is for a maximum of five years & so we hope to be serving the community at least until July 2021 with our exclusive mix of Music Of Black Origin coupled with News, Information & Advice, to inspire individuals & groups in the local community. Our aims will not change: we will still aspire to entertain, educate, & thus empower our listeners locally, whilst promoting community cohesion in our neighbourhoods. Equally our world-wide live streaming helps to connect & inform family members not local to Gloucester. However this exciting news is only the start of our journey into the future & we invite all interested people to join us along the way. We are NOT just calling out to people who want to spin tunes or sit behind a mic, although that is the most obvious role: running a radio station involves so many differing skills & attributes. For Example, we also need volunteers to help keep our equipment & computers running smoothly, update our website & other social media outlets and perhaps most importantly; people to seek advertising, sponsorship, grants & other funding: also promoting the station in various ways, including arranging fundraising & awareness events locally. The word COMMUNITY radio says it all, without community involvement, without YOUR support, we are nothing. If you can offer your skills & time please call us on 01452 525 425 for an informal chat about joining us on our exciting journey into the future……………. If you wish to help us financially to continue broadcasting for the next five years and beyond please scroll straight down to the bottom of the page where there is a secure donation button OR you can call our Office number on 01452 525425 to arrange to meet with us & donate in person. you can browse through the archives below on this page first to gain more insight into the journey we have been on to get where we are now &/or visit https://www.gloucesterfm.com/about/ to go back to the very beginning. As everyone knows, (& our politicians / leaders constantly keep reminding us!) we are currently living in difficult financial times: grants, sponsorship & other funding from many of our traditional sources is drying up whilst advertising revenue is getting harder to acquire from cash-strapped local businesses, promoters & venues. Money is harder to come by AND that which we have buys less & less; as costs, e.g. rent, utility bills & equipment maintenance costs, continue to rise. On August 05, 2013 the following article was published in our local press setting out briefly the history of GFM 96.6, thanking the community for its support so far whilst reinforcing the need for local businesses & the community as a whole to keep supporting us so we can continue to broadcast. Thanks to our supporters we are still here today serving the community with Music, News, Information & Advice! In the year 2005, The Office of Communications (Ofcom) started granting broadcasting licenses to create community radio stations, a third tier of radio stations after the BBC and commercial radio. Gloucester FM (GFM) was one of the first 61 community radio stations awarded a full time community license and commenced broadcasting on Friday 21 July 2006. 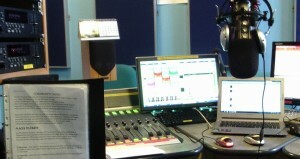 Between that time and now, 200 community radio stations were created and started broadcasting but sadly 25% of these community radio stations have since ceased broadcasting with the latest casualty being Forest of Dean Radio, which was the very first community radio station awarded a license in the UK. 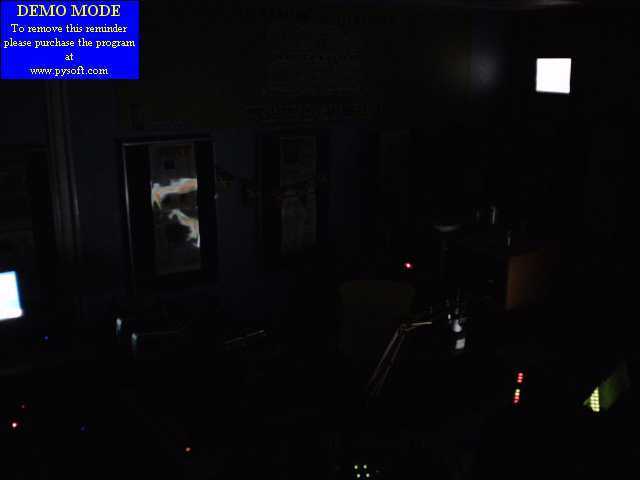 As a result GFM 96.6 faces the same demise of other community radio stations that have since gone defunct if we fail to raise funds to keep us on air. 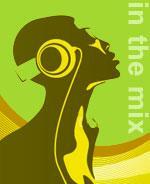 In October 2010 GFM 96.6 should hopefully be celebrating 10 years of broadcasting. We are fortunate enough to have volunteer presenters who devote their time and resources to GFM for free, but we still need to pay for operational costs as major as the broadcasting license, Phonographic Performance license, Performance Rights Society, web casting fees, rent, broadband bills, all which make it possible to continue imparting a valuable service to the citizens of Gloucester and beyond. For GFM 96.6 to continue entertaining, empowering and educating you, the listener’s, we need your financial support to keep us on air.